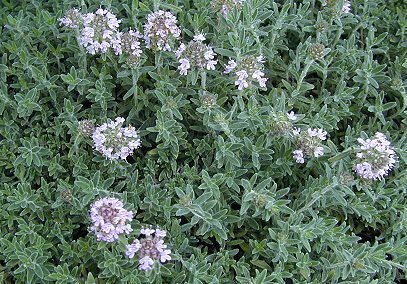 The thyme with the funny name, Loveyanus Thyme doesn't get a lot of attention in books and magazines, but it is a beautiful ground cover thyme with golf ball size flower heads and soft rather large (for a thyme) silvery green pointed leaves. It has a flowing habit that beautifully fills up the empty spaces in the garden. 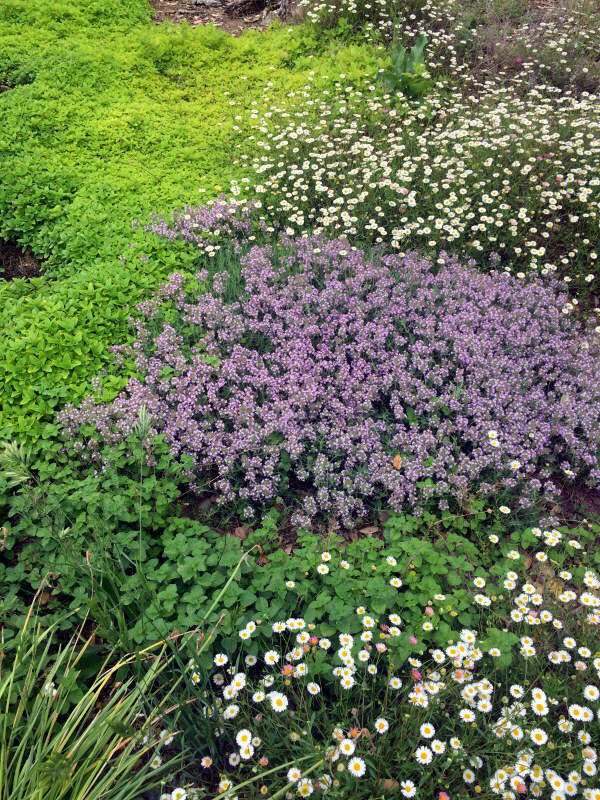 In the photo below, Loveyanus Thyme is in full bloom and mixing beautifully with Santa Barbara Daisy, the minty dark green Basil Thyme and Creeping Golden Marjoram. This plant is often available in plug trays. These trays hold 128 of all the same plant. They are a great low cost way to fill a lot of space. Each cell is 3/4 of inch by an inch. 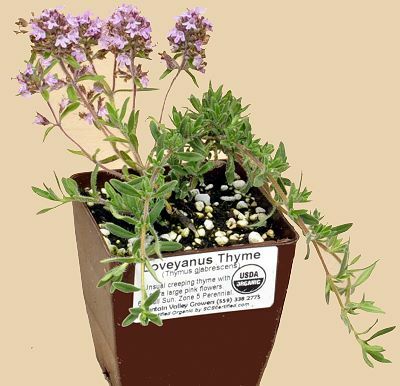 Check here to see if Loveyanus Thyme Plug Trays are available.